RevSearch is a Midwest USA dealer for FBO Systems. 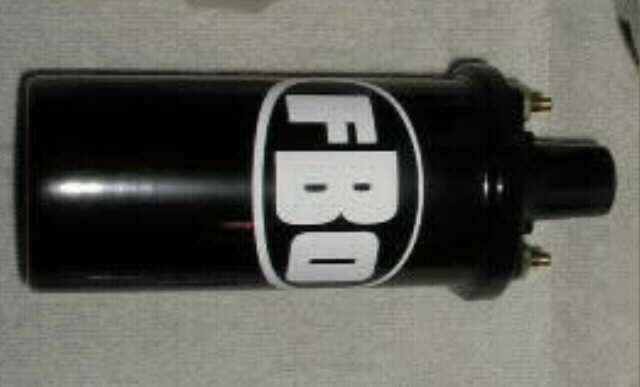 You can check out the FBO Systems Web Site for a complete parts list. 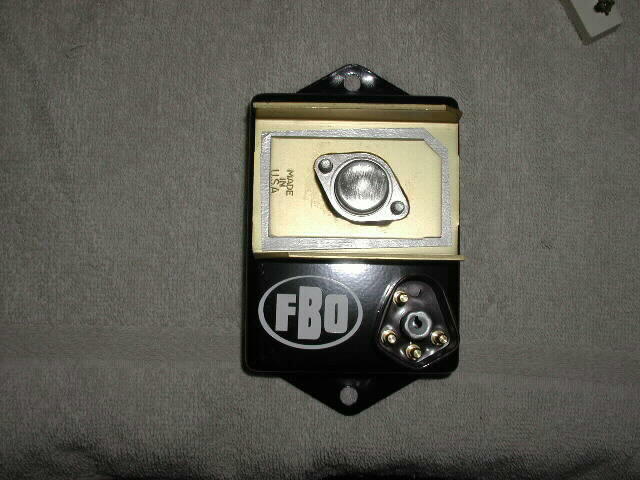 The FBO ignition systems are especially interesting to me. Here's the story. I was dyno testing a restricted 360 Dodge and was using MP orange box with a "lean burn" distributor which has no vacuum or mechanical advance. This would be the same as running a normal distributor with the centrifugal advance "locked out". The rules excluded any MSD or non-factory type ignition boxes for this engine. I noticed that as the RPM went up the total timing retarded. With the total timing set to 35 @ 1200 rpm it would back down to 29 total @ 5000 RPM. This is not acceptable and my search for a better stock type ignition box led me to FBO Systems and their unique and exclusive ignition box for Mopar applications. The FBO box held the timing to within one degree across the RPM band. The FBO ignition systems will work well in both stock and high performance applications. I've seen 5 hp at 5500 by just installing the FBO ignition box. The only potential advantage the multi spark systems have over the FBO box is a better idle (in engines with bigger cams) because of multiple sparks. At about 3000 RPM the multi-spark systems switch to one spark so above that RPM the FBO will pretty much equal a entry level multi spark system. Here is a short list of some of what FBO Systems has to offer. 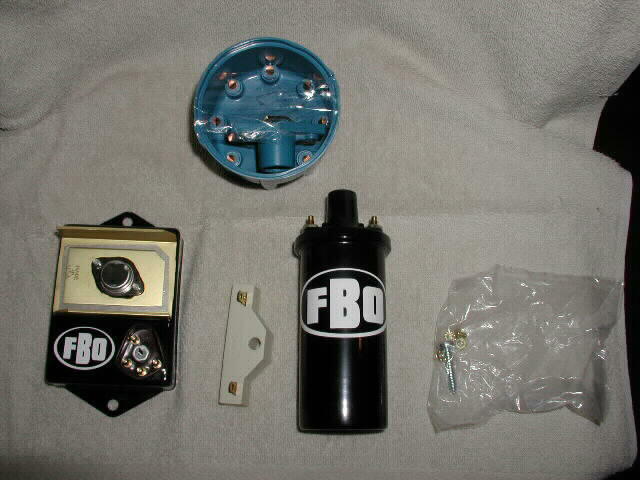 FBO A688 Ignition Kit - Cap, Rotor, ECU, Coil, and Ballast resistor $129.00 + shipping (and tax for ND residents) only two in stock! Click picture to see more detail. The FBO ECU and coil should were designed to be used together and should be used together for best results. Remember, I can sell and send you a PayPal invoice for anything listed on the FBO web site. As always, prices are subject to change without notice. If you have any questions please e-mail me the current address is on the RevSearch Home Page. Back to the RevSearch home page.